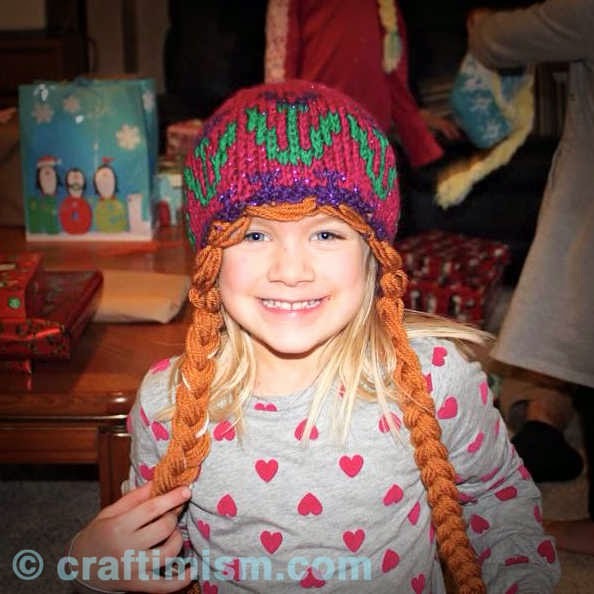 Here is the Anna knit hat as modeled by my niece Audra this Christmas. I think she liked the hat! I really liked the way it turned out. 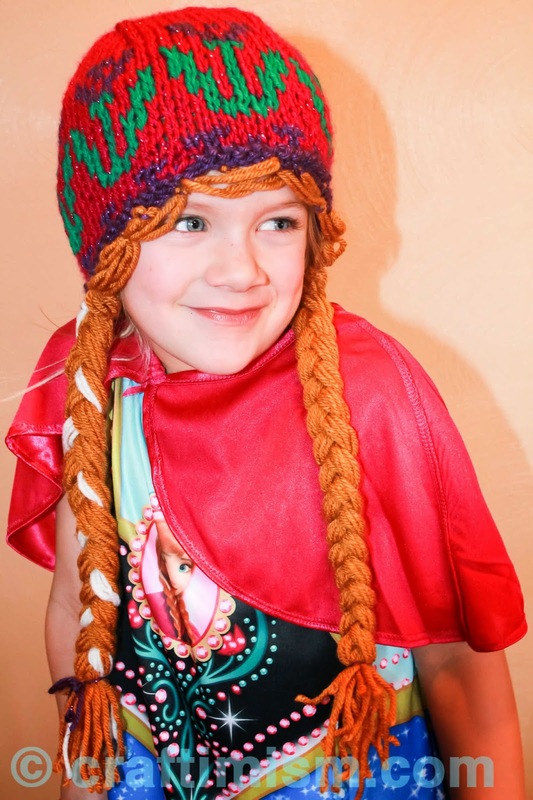 The flower detailing was inspired by Anna's dress and the colors were inspired by her hooded cape. I even made sure to add the white streak in her braid. 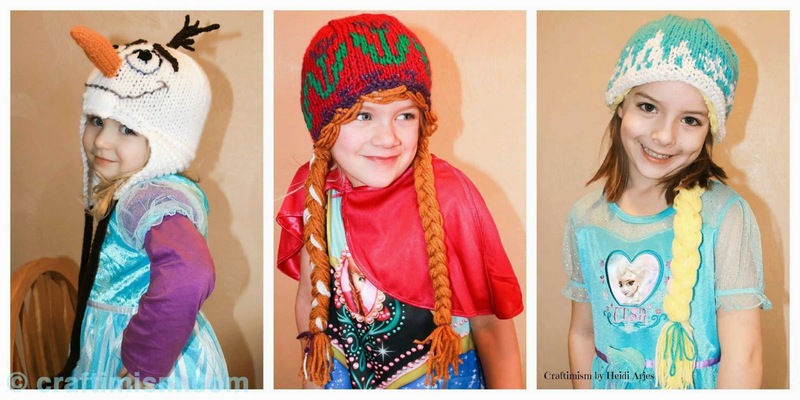 You can find the pattern on Ravelry here, on Craftsy here, or purchase directly here.